Plum Crazy! 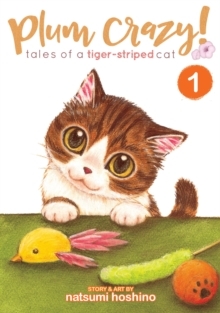 Tales of a Tiger Striped Cat is an adorable new manga series that features the hilarious adventures a clever cat named Plum. 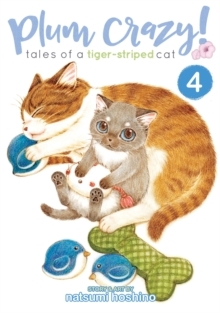 Charmingly illustrated, this feline filled, lighthearted romp will appeal to cat lovers of all ages. Plum Crazy! 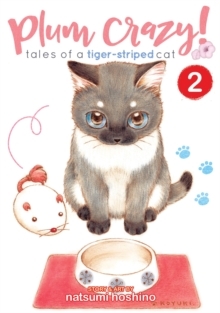 Tales of a Tiger Striped Cat is an ongoing manga series that will melt the heart of the grumpiest cynic with its delightful storyline and adorable artwork that depicts cats of all shapes, sizes, and colours. 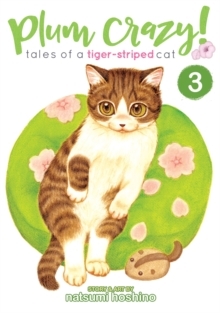 Plum, as her family calls her, is a tiger striped cat that lives with Miss Nakari, a single mother to her teenaged son, Taku. Plum can understand what people say to her, and she can even tell what's in their minds. She also has many friends among the neighbourhood cats. All is well in her everyday life, until the day a mischievous kitten named Snowball joins Plum's happy household. Will the naughty little newcomer turn Plum's world completely topsy turvy? Or will Snowball make her life even sweeter?